Log in at bottom of this page to place your order. All orders within the United States are sent USPS 13 day Priority Mail. Please feel free to “round up” the amount of your donation (e.g., $22 to $30 or more). 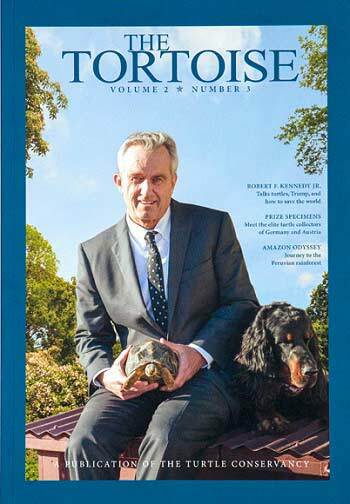 Remember, all donations support HerpDigest. Indicate your total donation in the blank provided on the order form. 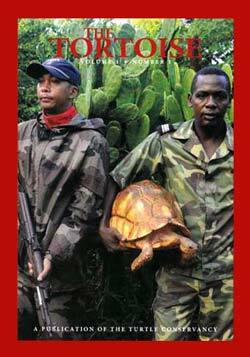 Each 160+ glossy pages and over 160 color photos. 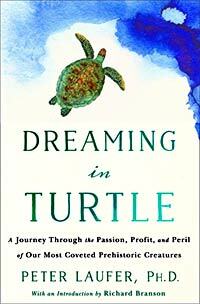 Dreaming in Turtle is a compelling story of a stalwart animal prized from prehistory through to today—an animal threatened by human greed, pragmatism, and rationaliza­tion. 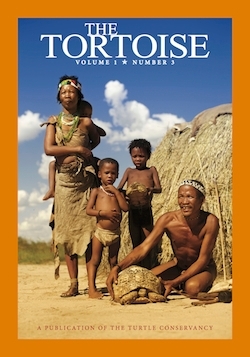 It stars turtles and shady and heroic human characters both, in settings ranging from luxury re­doubts to degraded habitats, during a time when the confluence of easy global trade, lim­ited supply, and inexhaustible demand has accelerated the stress on species.The growth of the middle class in high-population regions like China, where the turtle is particularly valued, feeds this perfect storm into which the turtle finds itself lashed. 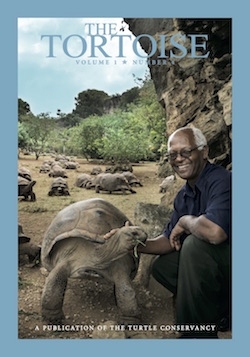 This is a tale not just of endangered turtles but also one of overall human failings, frailties, and vulnerabilities—all punctuated by optimistic hope for change fueled by dedicated turtle champions. Journalist Peter Laufer is the James Wallace Chair Professor in Journalism at the University of Oregon School of Journalism and Communication. 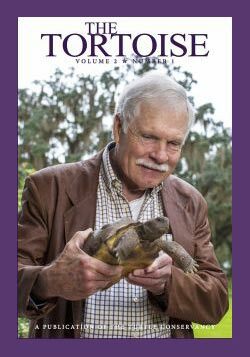 He is the author of Dreaming in Turtle: A Journey Through the Passion, Profit, and Peril of Our Most Coveted Prehistoric Creatures and Organic: A Journalist's Quest to Discover the Truth Behind Food Labeling. 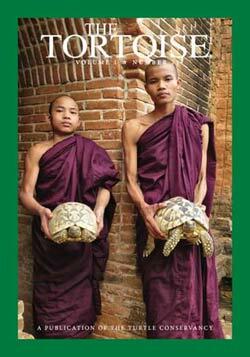 What would you do if your spouse filled your living room, kitchen, bathtub and even your freezer with turtles? (The ones in the freezer, wrapped in aluminum foil, had passed on. Even so!) Most women would have fled for the hills or filed for divorce. Not me. 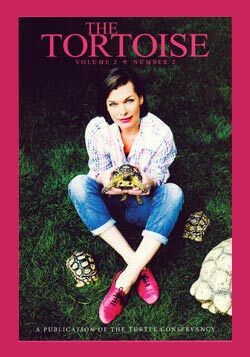 Confessions of a Turtle Wife is the story of how and why for more than 20 years I've stuck to my marriage vows through thick, thin, and turtles ad infinitem. This book can show you how to love someone no matter what crazy thing they're into, as well as how to laugh at yourself, your significant other, and thing odd things life throws at us all. 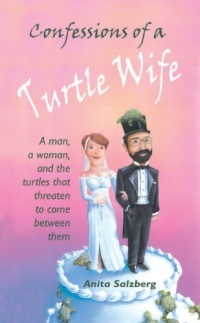 You'll love this funny, warm, insightful book about the trials and tribulations of one woman's turtle-obsessed marriage! A hilarious collection of herpers' warm-hearted revelations about their cold-blooded charges! 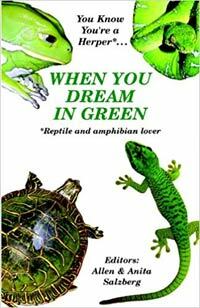 Every reptile and amphibian lover will enjoy this hilarious collection of warm-hearted revelations by herpers about their cold-blooded chargessnakes, lizards, frogs and turtles. If you send out birth announcements for a hatching... cruise pet stores instead of the mall... feed the herps before the kidsthen you'll laugh out loud at these off-the-cuff comments about what it's like to be a herper: the bugs and the worms... the bites and the mice... the escapes and the escapades! To prevent automated spam we have password protected the online order forms.